Minecraft fans rejoice, there’s now a new and exciting way to build and share with Minecraft. 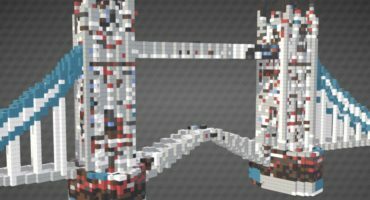 CraftMaster, a companion app for the PC and Mac editions of Minecraft allows you to build amazing structures by importing 3D models and schematics into your Minecraft worlds, navigate worlds more efficiently; and share your Minecraft creations to Sketchfab. 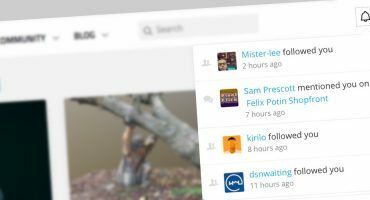 CraftMaster is currently in an open beta period and we encourage you to sign up to participate today. CraftMaster allows you to leverage the creativity and expertise of designers and architects from around the world by making it easy to import 3D models from your favorite sites, including downloadable models from Sketchfab. In a just few minutes you can produce iconic structures like the Eiffel Tower or the Sydney Opera House in your worlds. You can also easily import Minecraft schematics shared by your friends, or from Minecraft stores online. To learn more, be sure to visit the CraftMaster website, their YouTube channel, and follow their blog for Beta updates. And of course, don’t forget to check out their Sketchfab page. We’re pleased to add CraftMaster to our ever-growing list of applications that allow you to share your work directly to Sketchfab. Visit our help center article to learn more about working with Craftmaster. the virtual eco-structure of Minecraft is a thing that needs to be studied, its another world in our world, its so fascinating, & Paul, the tool you talked about will give new creative people the chance to create more amazing kinds of stuff.